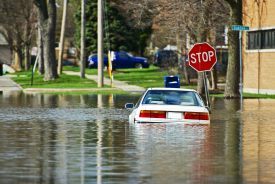 Flood Insurance in Stanwood, Reed City & Big Rapids, Michigan - Big Rapids Insurance Agency Inc. Your standard Michigan flood insurance policy would apply to homes, condos, mobile homes, businesses and rentals that are in flood zone areas. Typically, your flood insurance policy is dependent on your flood zone risk. Policies have different options so contact one of our staff at 231-592-5115 for any questions you may have about your Michigan flood insurance policy.